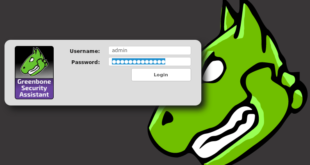 You should now be able to log in using the GDM3 GUI. After reboot, you should be able to log in using the GDM3 GUI. Douglas Riese was kind enough to post this in the comment section. This might be applicable to those who had black screen after following this guide. I spent about a week trying to install the nvidia driver. Every step worked for me up until I generated the xorg file. Once I generated that, I would get a black screen with a blinking cursor. This concludes my general instructions on how to install proprietary NVIDIA driver – NVIDIA Accelerated Linux Graphics Driver Kali Linux 1.1.0 kernel 3.18 ono. 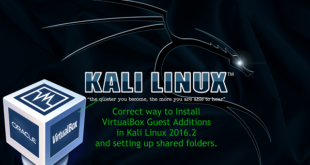 NVIDIA Optimus users, use the guide on Kali forums provided by staticn0de. But do not mix-match these two guides. You will break things and end up reinstalling. For those curious minds, try installing nvidia-settings and see how that goes. NVIDIA Settings will remove NVIDIA Driver but I did manage to make it work with some tinkering. NVIDIA Settings presents you with a GUI X Config Window and you can see GPU Temperature and more info. Thanks for reading. Please share. Can i follow this guide to install the drivers with optimus conf? or pleae lead me to a thread because i cant find one which works well. You wont end up using nvidia for your xorg.conf so make sure to follow the guide on the kali forums exactly. I was able to get it running pretty easily during the initial release of kali once i figured out that you cant use nvidia as your .conf. bumblebeed works pretty well for pyrit and oclhashcat and thus far i havent had any issues. You just have to remember to type “optirun” before pyrit or hashcat to get it to work or youll just be using your cpu instead of your gpu as well. 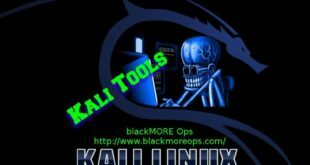 Also to blackmoreops; Thanks a lot for making this site, i havent posted in the reply section before but your site and your readers and posters have helped me through a lot of issues with Kali so a super big THANK YOU to you. Keep on rockin. I welcome the distinguished administrator of this site ! I used your instructions to install the driver Nvidia. Unfortunately devices that support NVIDIA Optimus does not work properly , you have to remove nvidia-xconfig (xorg.conf) or do not install it . Let’s wait for the official relliza Installation Nvidia Optimus. since the new Kali Linux has support for Nvidia Optimus compared to previous versions. And that said it wasn’t seeing my gt540m and the cpu speed droppen 75 percent!! I’ve been having a real hard time trying to install nvdia drivers on my laptop. I have an asus g751jy with the gtx 980m which does not have optimus. The support for this is scarce given that it is pretty new. The lspci | grep VGA command does not output my specific GPU but instead this 01:00.0 VGA compatible controller: NVIDIA Corporation Device 13d7 (rev a1). With this tutorial I get stuck on the xorg.conf creation giving me a black screen with cursor. I’ve tried first with the standard 3.18 kernel then tried compiling 3.19 from source disabling nouveau. Also tried using the proprietary driver from nvidia 346.35 which worked up untill the installation of cuda and came up with an error saying debian did not support what the driver had done, and telling me to revert the changes that were made. Did you found any solution??? ok now during the installation of c pyrit from the second part of this tutorial i got an error that wanted to undo the changes i did ignore this its negligible for some nvidia installation cleaner program. Thanks for putting this article together! I am having a problem after the reboot on Step 5. Everything went exactly as you said, got the same warnings etc. But after the reboot, every time I tried to login I get a black screen. Almost as if the GUI is not able to load using those drivers. To fix this I had to use “rm /etc/X11/xorg.conf” and get back to the nouveau driver. Do you know how can I fix this? By the looks of it, you have an optimus laptop. Follow the guide that blackMORE linked in his conclusion. Was too in a hurry that I did not ready the TS steps. All working now, cheers mate! Good instructions. Had a spare machine and wanted to see if I could get it doing something with CUDA out of interest of finding out more about it and this has got the driver installed nicely after some fiddling with an old machine. Look forward to the CUDA install component. Thanks for the guide. Awesome Post! Unfortunately, I have everything with teh exception of teh NVIDIA. I only have “VGA compatible controller: Intel Corporation Device 0a2e (rev 09). Any chance you have or could advise on getting it working? I cannot get my system to display on my second external monitor. it doesn’t detect it. Intel doesn’t really need anything special. Xorg driver is the norm. Unfortunately, by default the second monitor doesn’t display or recognize with intel (at least on my PC) I currrently have “xserver-xorg-video-intel 2.2.19.0-6” installed. I tried on a previous build to upgrade to a later version, but it had multiple dependency issues and ultimately it lead me to a rebuild. I am at a complete loss right now in figuring out how to get this external monitor to display via the HDMI port. thank you so much. the link at the bottom https://forums.kali.org/showthread.php?21956 works for me. So I follow this guide to a “T” and get the same output from steps 1-6 every time, as well as a black screen w/o the flashing cursor after rebooting and no way of exiting to another terminal (CTRL ALT F1 doesn’t work, nor any other F key). The first time it happened for me, I made it through to the reboot in step #5. After experiencing that a few times, chose to skip this reboot and proceed through step #6 and then reboot as instructed at the end of step #6. Still get the same result, black screen after reboot and the Grub menu. I have also tried both kernels, to include the same steps mentioned above, and get the same black screens with either kernel. I have a GeForce GTX 970 card. Any how-to to install the radeon drivers for 1.1.0? great tutorial, works flawless on my GTX 980, can’t wait to see the CUDA tut…. Thanks for a great guide! are u making a new guide for cuda? Hi BlackMoreOps. Did you see my previous post? Any recommendations? Thanks in advance. I complete step 5 and reboot. I get the black screen with the blinking cursor. Using your first troubleshooting step I’m not able to get back to the gui. Using the second step I’m able to log in. From what I understand this puts me back to using nouveau and I can’t continue. I’m using a GTX 970. Is there something I’m missing? Just to make sure I didn’t screw up I did a clean install and tried again. Unfortunately I had the same results as before. I have done extensive searches and I cannot find any answers to this problem. A lot of people seem to have the same issue though. I am also having identical issues that you are Curtis. I have yet to find a viable solution. Curtis, turns out that the GTX 970 is not supported in the Kali repos yet. Kali is based on debian and its backport repos is up to 340.x, but the GTX 970 requires 346.x to work in Kali. I’m working on getting this up and running using the NVIDIA-Linux-x86_64-346.47.run available from Nvidia directly. I’ll keep you posted how this works out. I’m working with Samiux on this and have received a lot of ideas on how to get this working. Good to know. Would you mind sharing the solution if/when you find it? Curtis. I finally have it figured out. I have finished up the instructions this evening and have posted them on forums.kali.org under the How-tos section. 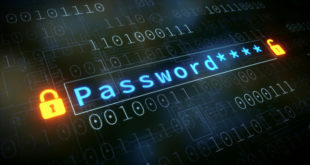 It will be started by “upinarms247365”. Just awaiting the moderators approval. Hi i love your turtorials i was wondering if you have managed to install the ati graphics drivers for kali 1.1.0 and if theres a post on its way soon or if you know where i could posssibly find one thank you very much! hi,afret installing driver or what u did there my resolution blocked to 640×480 and when i want to change it i cand becouse he dont let me .what i do?anyone hapend the same?HELPPP! !sorry for my bad english. Thanks for the excellent guides. Unfortunately, I have a problem getting the nvidia drivers to work properly. Here it is: I followed your guide verbatim, and I can even get my GUI to show naturally on boot yet whenever I try “glxinfo”, it says “Error: unable to open display”. What can I do to fix this? I’ve been trying for a couple days and no one seems to have the same issue. I hope you can help!! aptitude install mesa-utils usually fixes that. when using the command lspci | grep VGA It shows the VBox Graphics and not my 880m. How do I get past this part. Please help! Are you using a VBox? I’m really looking forward to getting the cuda install…Thanks for the tutorial so far. This was way easier than the last time I had to do this on my box. ^Same here; this guide step-by-step nuked it on reboot. How’s the Cuda and Pyrite/Cpyrite guide coming along? Are they for the newest versions on oclhashcat (v1.36)? Excellent guide! Worked perfectly on my old Dell Precision M6400 which has a Quadro FX 3700M. I’ve used CUDA on this laptop under Windows for video editing. Can’t wait for the CUDA installation guide. why is it not showing my NVIDIA GFORCE 740m? How did you decide this? Just a quick observation: I installed the latest NVIDIA dirvers following this tutorial. 3.53. . . If i install amd drivers everything works perfect but not with nvidia….any idea ? GT 610). I’ve Google a lot, (more than 5 times crashed my system & disappointed) and At last followed your method & Really Really.. Now my Screen is dancing like Mad. Whole Heartedly Thanking You a Lot.. Sir. 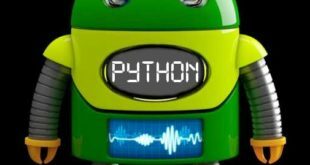 Can I install Cuda, Pyrit? ? With hope of good response. 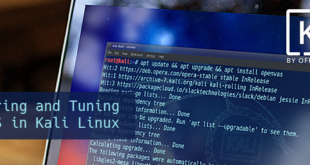 as per your guidance, i installed NVIDIA Accelerated Linux Graphics Driver in Kali Linux 2.0.
should i omit the first step – Kali Linux 1.0.7 kernel 3.14 – Install proprietary NVIDIA driver – NVIDIA Accelerated Linux Graphics Driver ?? A few minutes ago I used this guide with the latest 32-bit Kali and nvidia driver 352. Worked perfectly. Love the site!